Whether you are a guest of the Adam’s Mark Hotel in Dallas or a local resident, dining at the Chaparral is a must. 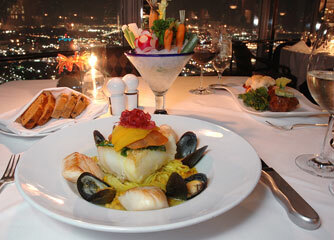 This four-diamond restaurant located on the 38th floor of the Center Tower not only offers spectacular views of Dallas, it also serves the finest fresh seafood and prime meat accompanied by an extensive world-class wine selection. Executive Sous Chef David Smith and his top-tier culinary team serve extraordinary and innovative cuisine that would impress the most discriminating palate.